We have really been getting our “fall” on lately. I wasn’t sure what would happen to the pumpkin pie filling when I mixed it in but it didn’t separate at all, it mixed up smooth and added the perfect amount of semi-savory spice to the sweet moscato. We also made a fall activity tree this weekend (I saw the idea on one of my favorite blogs Steph’s Bite by Bite, check her out). It was fun for Austin to stick the leaves on the tree and I feel like will hold us accountable with our list. Admittedly, pumpkin spice isn’t my favorite flavor. I don’t get as jazzed up about pumpkin spice lattes as most women I know. I do however love, love, love pumpkin pie. When I was little my mom used to put wrapped up slices of pumpkin pie in my lunch box when it was in season. I didn’t even use a fork, I would just hold the pie and take a bite. I love it super cold with a dollop of cool whip. I think it’s the thick chewy texture that I like so much. 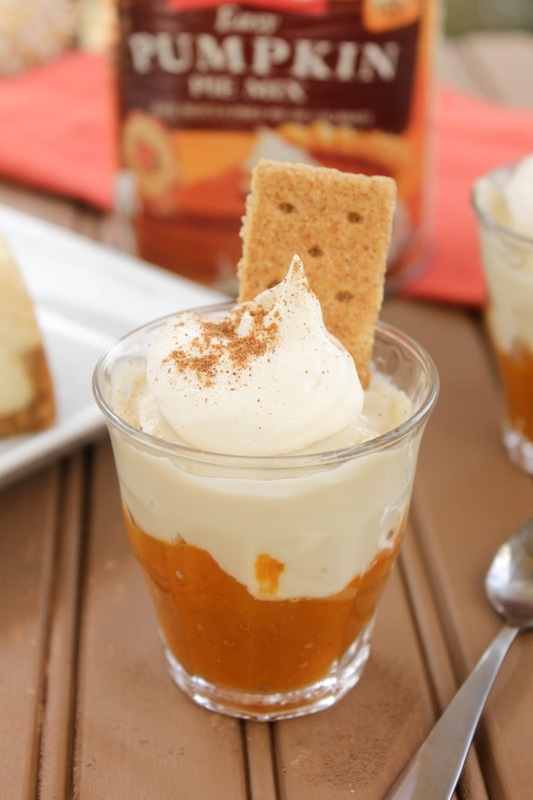 These pudding shots are my childhood favorite all grown up! We are a Dallas Cowboys household and here I go making jello shots for our arch-rivals, The Washington Redskins. But I wanted to make these for our good friend Darcie. Her and her family are HUGE Redskins fans. We give them a lot of flack, they give us a lot of flack. Text messages are shot back and forth teasing between our husbands. Bets are made and won or lost, jerseys are stolen. It’s all in good fun. I’ve been putting apple butter on my toast in the morning to feel a little more fall-ish. You know what’s even more fun that apple butter on toast? I saw this cocktail recipe while I was reading Southern Living at the hair salon a few weeks ago. I had foils all over my head (still not ready to let go of the summer blonde) and was obsessing over all of their autumn ideas. This one was the first on my list to try.